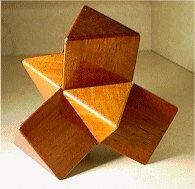 QuadroStella is an interesting puzzle which at first glance looks like an ordinary dual tetrahedron puzzle... But it's patented central mechanism lets it do much more than just assemble and disassemble. 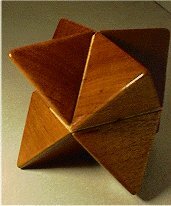 To assemble the QuadroStella you have to put together two groups of parts consisting of two pieces each. 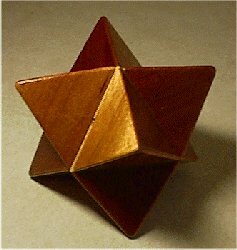 It's the only member of The Quad Squad family which parts can be maid out of sticks since it's a stellation of an octahedron.